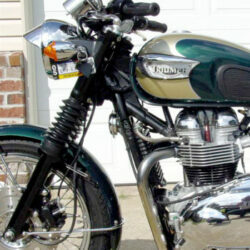 Gold X-ring chain for 2016-current Triumph water-cooled 900 twins. 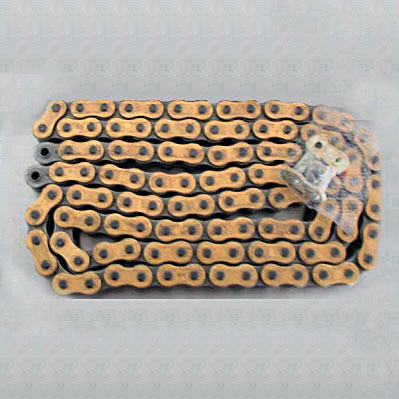 The premium-quality X-ring chain seals keep the chain lubricated longer than the standard chains. And the gold color outer plates just look cool. 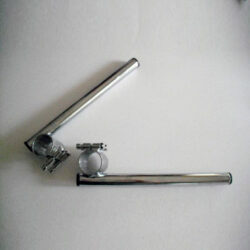 Comes with rivet-type master link for the maximum strength. 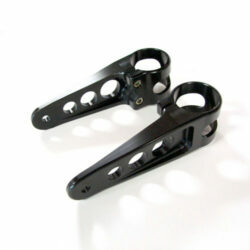 Size 520 – 110 link length can be cut to fit select Triumph water-cooled twin models. Upgrade your stock Triumph Bonneville T100 and/or Street Twin/Cup’s o-ring chain to this premium quality X-ring Gold chain. The X-rings hold more lubricant promoting longer chain & sprocket life. The gold finish adds that contemporary high-performance race look… and looking fast is just as important as going fast! Provided in over-size length (110 links typical). 520 pitch.